Darius Rucker is an American singer and songwriter. He first gained fame as the lead vocalist and rhythm guitarist of the Grammy Award-winning American rock band Hootie & the Blowfish, which he founded in 1986. The band has released five studio albums with him as a member, and charted six top 40 hits on the Billboard Hot 100. 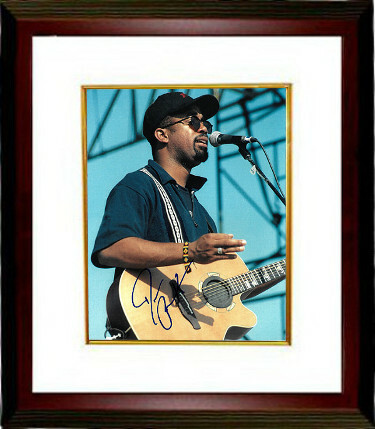 Darius Rucker has hand signed this 8x10 Photo. Certificate of Authenticity from Athlon Sports Collectibles. Custom White Mat and Premium Mahogany Frame as shown. Guaranteed to Pass 3rd Party Authentication- Beckett (BAS), JSA or PSA.